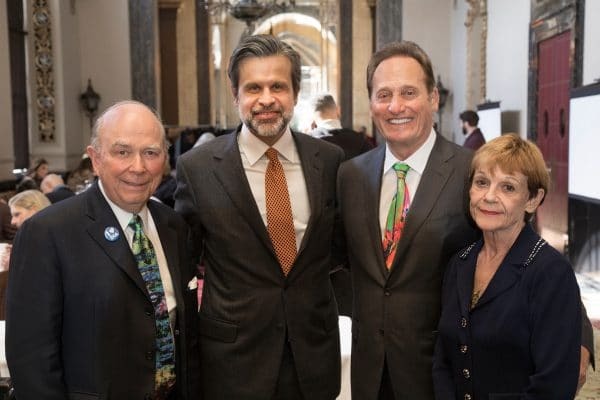 Park West Gallery Founder and CEO Albert Scaglione and his wife, Mitsie, maintain a passionate ambition to improve the lives of others through personal giving. Park West Gallery is a family-owned and operated business, and the Scagliones continue to build upon that core of family values by making significant contributions to strengthen the health, social, educational, and cultural fabric of communities around the world. Formed in 2006, the Park West Foundation is the non-profit organization of Park West Gallery. One of the foundation’s primary missions is to address the urgent needs of young adults aging out of foster care in Southeastern Michigan. When foster care children leave the system due to age restrictions, they are often left to fend for themselves. By utilizing key partners and mentors, the Park West Foundation has empowered more than 1,500 local youth by offering education, shelter, clothing, and food assistance. The foundation has broadened its goals to support national and international programs that positively impact both young adults and the environment. 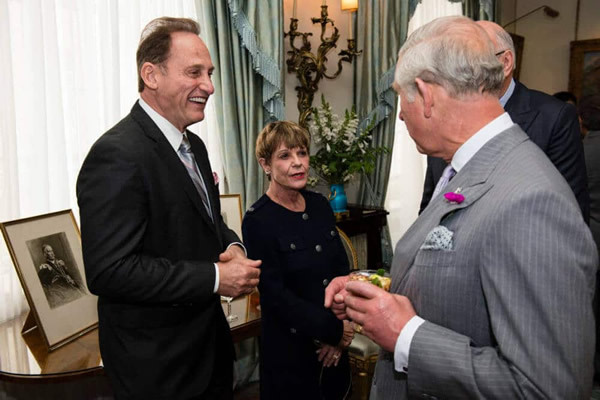 These include becoming founding patrons of the Prince’s Trust International to address youth unemployment throughout the world and sponsoring Best Buddies, an international organization that assists individuals with intellectual and developmental disabilities. Visit parkwestfoundation.org for more information. Park West Gallery and the Park West Foundation both strive to make fine art available to everyone. These efforts include the Museum Spotlight Program where we partner with museums around the United States to sponsor solo artist exhibitions and support art education programs. For example, we sponsored the “Monet: Framing Life” exhibition at the Detroit Institute of Arts, a partnership we look forward to exploring in the future. Providing resources to Turnaround Arts, an arts education program brought through the President’s Committee on the Arts and Humanities to the lowest performing elementary and middle schools in the country. Supporting National PTA’s Reflections Program where students create and submit original works competing for awards in the visual and performing arts. Ongoing support of the non-profit Park West Museum. 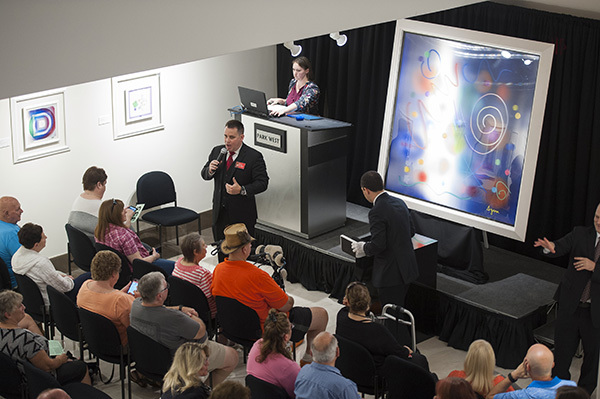 Park West Gallery’s headquarters in Southfield, Michigan opens its doors free of charge to 501(c)(3) non-profit organizations in need of a location to host a benefit auction, fundraiser, or other event. There are countless causes worthy of support, and we carefully consider each donation request brought to us, whether monetary and/or gifts in kind of artwork. *We kindly request that your completed form is received at least 6 weeks prior to your event. For more information or to become involved with the foundation, contact Diane Pandolfi, Park West Foundation Director, at dpandolfi@parkwestfoundation.org or Saba Gebrai, Program Director, at sgebrai@aol.com. For inquires about contributions and donations, email PWGCARES@PARKWESTGALLERY.COM.